To help extend the dialogue across the Asia Pacific and beyond, each issue of Garland features an online exhibition. This will include images of works related to a particular theme sourced from a diversity of locations. The works will be sourced by a call-out through Garland and editorial board network. In return, it is hoped that artists find this a useful way to promote their work and be engaged in a transnational dialogue. The second issue of Garland will be launched during the Adelaide Festival in association with the Adelaide Biennial in the Art Gallery of South Australia. 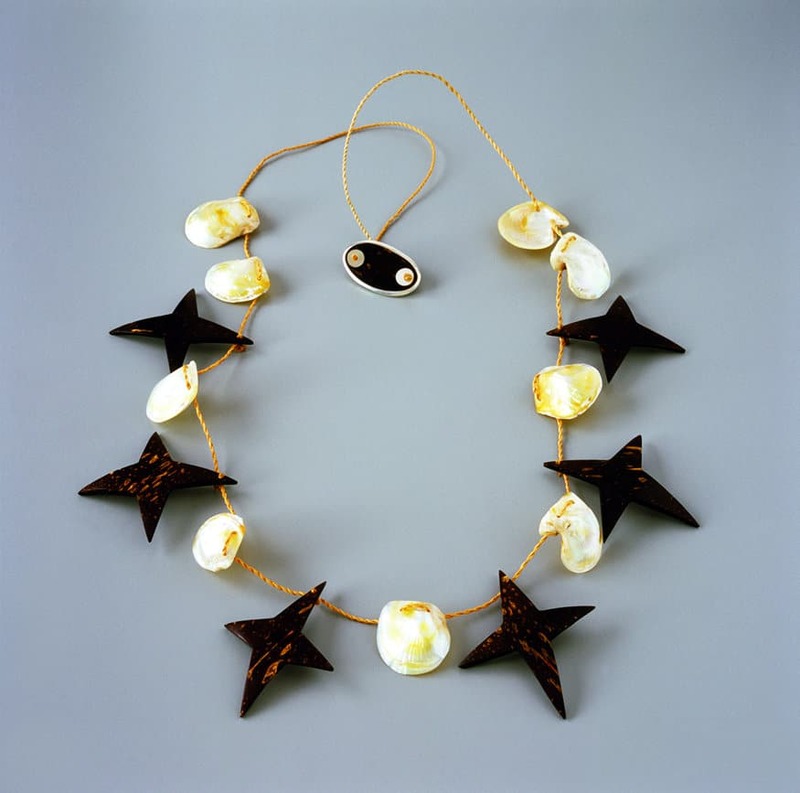 One of the features of this festival is an exhibition at the JamFactory of work by Lola Greeno featuring her shell necklaces. Shelter is a key element of life on earth. Humans construct homes, birds weave nests, insects make cocoons, animals develop skin, sea creatures and nuts grow shells for protection. These casings remain after their inhabitants have gone, providing a rich source of material for re-use. They provide materials for many craft practices as well as artistic use through sculpture and jewellery. Second home also evokes the process of re-locating to another land, when cultures can be re-imagined in another context.